Petsitis appears to have been on the outer edge of Alexis Tsipras’ inner circle and was a frequent visitor to the PM’s Maximos Mansion offices. Deputy Parliament Speaker Tasia Christodoulopoulou (SYRIZA) has announced that she consents to summoning Anti-Money Laundering Authority Chief Anna Zairi and the head of the Authority’s investigation of the DEPA-ELFE (Hellenic Fertilizers and Chemicals) affair, who resigned in the middle of the probe, to appear before the Parliamentary Committee on Transparency. Main opposition New Democracy, which has been hammering the government over the affair for months, demanded that the two be summoned to testify before Parliament. “This is an electoral period and whether this is a scandal or an effort to offset other scandals the matter must be investigated,” Christodoulopoulou said. “I am approving [New Democracy’s] request to show that we are not afraid of press reports,” she declared. The name of the investigator has not been made public but the resignation has stirred suspicions of an effort to obstruct the probe. The case involves 120mn euros in debt of businessman Lavrentis Lavrentiadis’ ELFE to Greece’s Public Gas Corporation (DEPA). Lavrentiadis has been convicted in the scandal of his Proton Bank, which issued hundreds of millions in loans without proper guarantees, much of which was given to companies owned by Lavrentiadis. Petsitis was employed by Lavrentiadis and at the same time apparently used his close ties to his old schoolmate Digital Policy Minister Nikos Pappas and played a role in the securing extraordinarily favourable terms for the payment of that debt in a manner that benefited Lavrentiadis. In December, Energy Minister Yorgos Stathakis told Parliament that New Democracy was responsible for the huge debt to DEPA accrued on its watch, as the debt was already 96mn euros when SYRIZA came to power in 2015 and it rose by only 12mn euros by 2018. 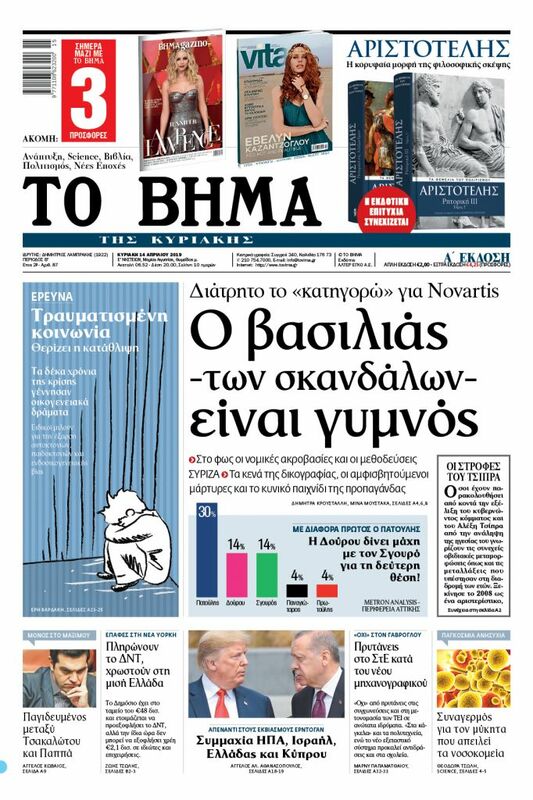 A report by the Newsbomb website indicated that Petsitis was hired to work with lawyers for Lavrentiadis’ offshore companies in December, 2014, a month before the election that all polls indicated would be won by SYRIZA. Petsitis represented Lavrentiadis and his lawyers at meetings with DEPA. Pappas had repeatedly tried to dissociate Petsitis’ access to the PM’s office from the lawyers for Lavrentiadis’ offshore companies, arguing that Petsitis’ business with Lavrentiadis involved “transactions between private individuals”. The aforementioned lawyers work for the firm of, with whom Pappas traveled to Venezuela in 2013, before SYRIZA came to power. At the time, SYRIZA linked the trip to a supposed effort for Greece to buy food from Venezuelan state supermarkets. The Athens daily Eleftheros Typos reported in July, 2018, quoted the Venezuelan news outlet Armando Info’s report entitled “Margarita Island [of Venezuela] is the Ithaca of relations between Chavism and Greece’s ruling party”. The Venezuelan website’s report linked the Chavez government to Lebanese-Venezuelan businessmen Majed Khalil, and referred to Khalil’s contacts with Pappas. Venezuela is considered a haven for money laundering. Eleftheros Typos had revealed that Pappas and the Cypriot lawyer Artemiou traveled on Khalil’s private Lear Jet to Margarita Island. That trip was never announced by SYRIZA. Sources say that Lavrentiadis’ trust in Petsitis was based on the fact that he had undertaken to represent in Greece Cypriot Lawyers Lambros Pieris and Sotirakis Panagiotou, who continue to manage Lavrentiadis’ offshore companies. Pieris is a prominent member of Cyprus’ major, communist-rooted AKEL party and is an associate at Artemiou’s firm, APLAW Services Limited. Panagiotou is believed to have been Lavrentiadis’ right-hand-man in handling a number of cases and until recently he served as director of Artemiou’s firm.